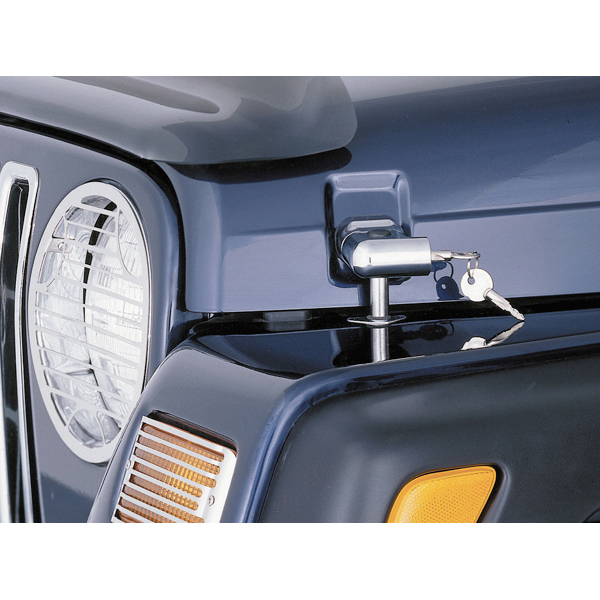 LOCKING HOOD CATCH KIT, 97-06 WRANGLER/UNLIMITED, CHROME - Jeep Parts Guy - All the Jeep Parts You Need! Replace your factory rubber hood catches with lockable, stylish protection latches. Both latches are keyed alike and install in the factory mounting holes with no drilling required. Sold as a pair. mounting holes with no drilling required. Sold as a pair.